Flexible seating is the new "thing". I hope that doesn't discourage you from trying it though! I'm hoping it isn't a passing phase and that it sticks around because we need it. Here's the thing, we talk about changing education, but we've had the same exact environment for 70+ years. Seriously? We learn so much about how environment affects students' learning. So much so that we have an entire portion of our teacher evaluation dedicated to how we handle environment. Y'all! I didn't realize just how much of a difference it would make. It started how all good problem solving sessions start...with THAT kid. Oh, gracious he was driving me bonkers. Let's be honest: some students are more challenging than others. Those kids are the ones you really have to work at figuring out. They're the ones that need that extra love. This particular student looks at me in the middle of a lesson and says, "Mrs. Miller, can I sit in your chair?" At that point, I would have let him sit anywhere as long as he would work. That's the thing though. He did. He sat down and worked...every last minute of class. The next semester this scene played out again with another student, and I figured something out. Students work best when they're most comfortable. I would act like this is some amazing new discovery, but it's not. We already knew this based on how WE learn. Ok, so after that longwinded spill, here's the stuff you wanted: ideas and pictures! Here's a full-ish picture of the room, but it's hard to see everything. I started out by getting rid of couple desks at a time. I brought in cheap, second-hand furniture, and my kids loved it. You don't have to get rid of all your desks at once, and you don't have to spend a ton. The first piece of furniture in my room is a dining room table. It was used in my kitchen for about four years, and when my husband built me a new one, I brought this one to school. 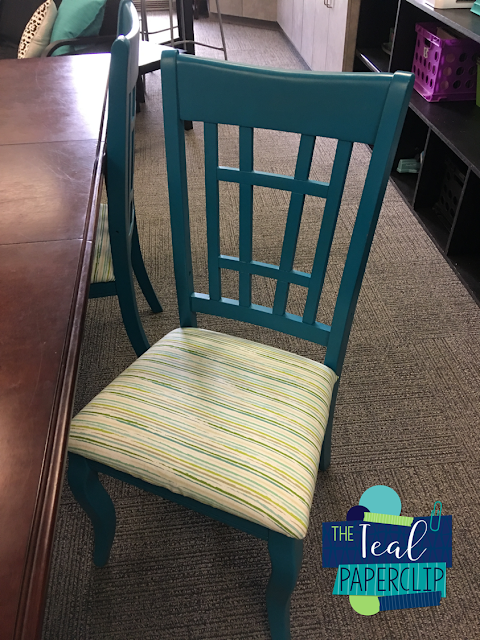 I painted and reupholstered the seats, and I'll be painting the actual table a charcoal grey this summer! This is actually a full size table. I just took the legs off to make a coffee table of sorts. Seats: technically it can seat 3 or 4 if kids want to sit in the floor. Cost: $20 at a thrift store. Futon from walmart. I bought this during the college season, and it's an absolute favorite! This bar height table was one of the first flexible seating items that I added to my room. Bar height tables are sooooo expensive, and I definitely couldn't (and didn't want to) afford it. So, I had my husband build this table for me. Then, I painted them with whiteboard paint! I love it. Here are the updated pictures! I heart these tiny side tables! They're from IKEA and make an awesome spot for couch sitters to put their supplies. Seats none, but it's worth the hassle of keeping my floors from being scattered with supplies. Ahhh! This is one of my newest gems, and I AM IN LOVE! I wanted another taller-than-usual table. 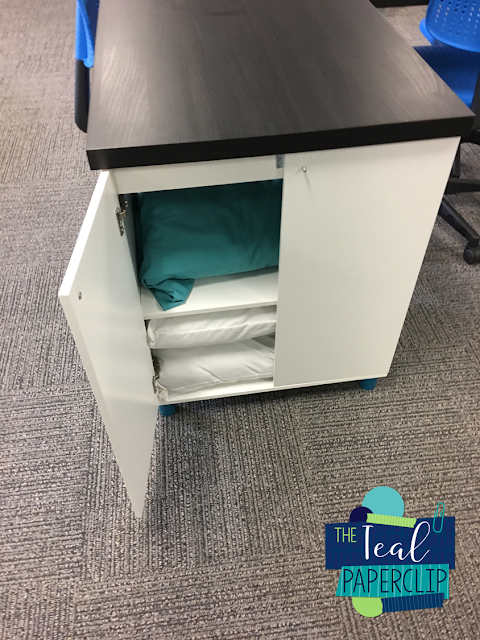 I am always thinking about storage as well, so I am thrilled with how this turned out. It's just made of two of the 9 cube storage organizers and a 3/4 inch sheet of plywood. My hubs just predrilled the screw holes into the top of the bookshelves. Then we just attached the plywood to the shelves using super long screws. 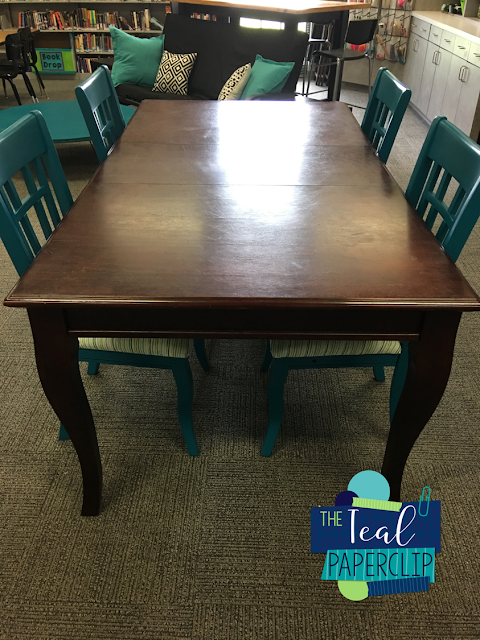 Then we used wood plugs and painted them to match the table. Automatic storage and lots of room to spread out! The best part? 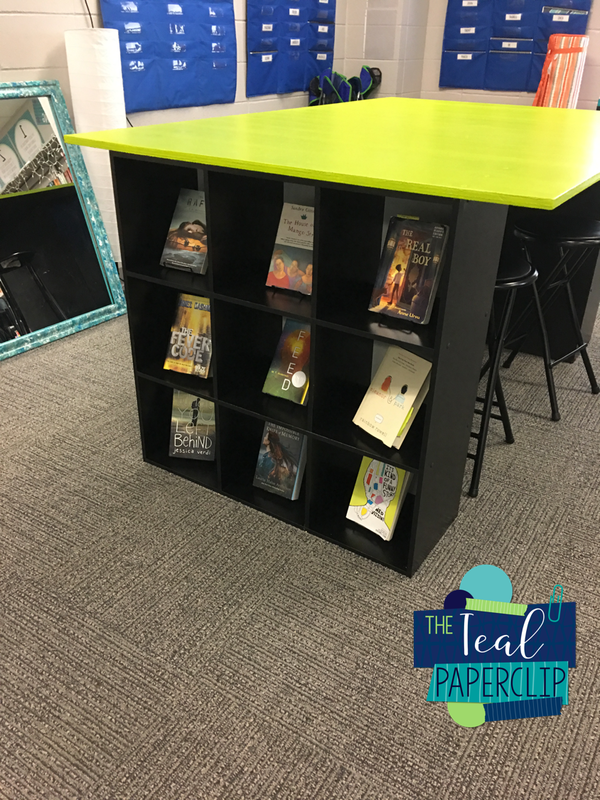 Due to human error or perhaps a glitch in the system, I got those bookshelves, which are normally $50 a piece, for $10 a piece! Score. The stools were given to me a couple of years ago when I started this journey! The papasan chairs are always one of the first seats to be chosen. These were on sale on walmart.com for $30-$40 each. Pricey, but totally worth it. They're pretty sturdy! 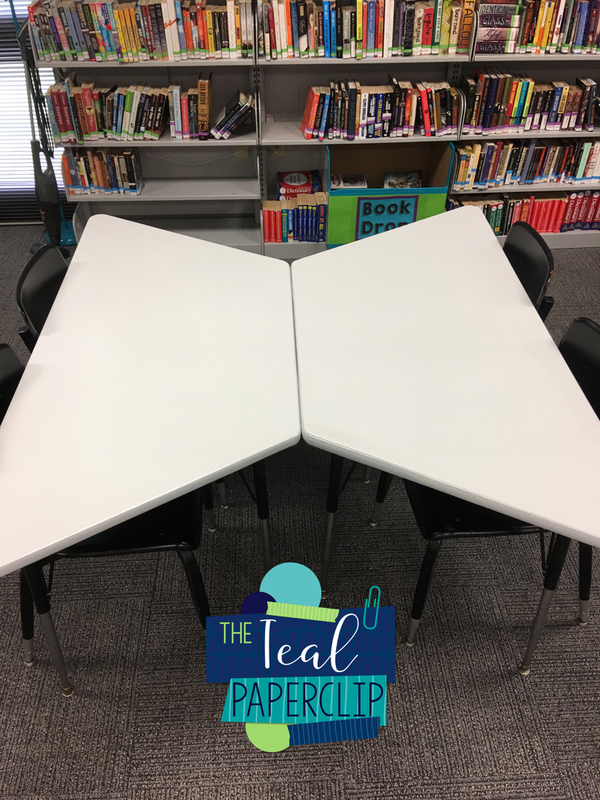 More trapezoid tables! See! I told you that I love them for their versatility! These are in the process of a makeover, so I'll definitely update these pictures when that happens. I'm just repainting the surfaces with normal paint, nothing fancy! The aqua chairs are plain metal folding chairs and came from Sams Club. Seats: 6 (if I need it to), but usually only 3 people (one at each table. Then, I painted them with whiteboard paint. I'll try to get a better picture next time I'm at school. Ohhhh!!!! I love me some IKEA! Yes, yes, I do! Ok, this one is kind of complicated. The table tops are linnmon table tops. The legs are adils. The cabinets at each end are actually bathroom vanity cabinets. I attached the legs using the directions that came with them. Then, I attached the vanity cabinets (which don't have a top or back) using L brackets from walmart. The table in the middle has four legs while the two on the ends have two legs and a cabinet. 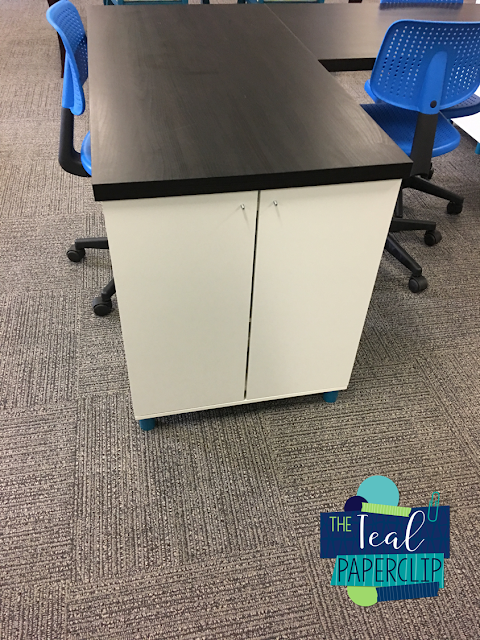 Once all of the tables were assembled, I got them set the way that I wanted them and attached them with flat brackets. Yes, there are knobs for these cabinets; I just haven't painted and installed them yet. :) I use the cabinets to store floor pillows...for now. This isn't technically seating although I do sit on it a lot! This is my stage. Of course...the hubs built it for me. It didn't originally have a rug on it, but my rug was getting destroyed by the vacuum cleaner, so this became its new home! I like it there. Ok, so there you have it. 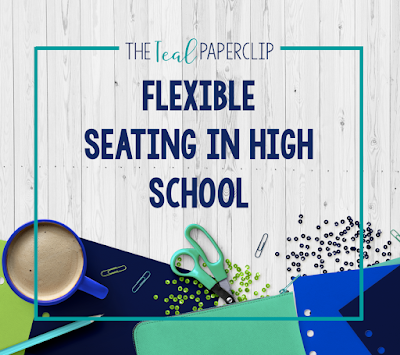 Flexible seating in high school. I love, love, love, can't get enough of, absolutely adore my seating choices. I love that I can move through the room easily and work with my students. I love that they're comfortable. I love that everyone gets what they need. I could seriously go on for hours. Let's just say that it's AH-mazing! Have you tried flexible seating? What did you think? Have questions or suggestions? Let me know in the comments below! I'd love to hear from you! Thank you! 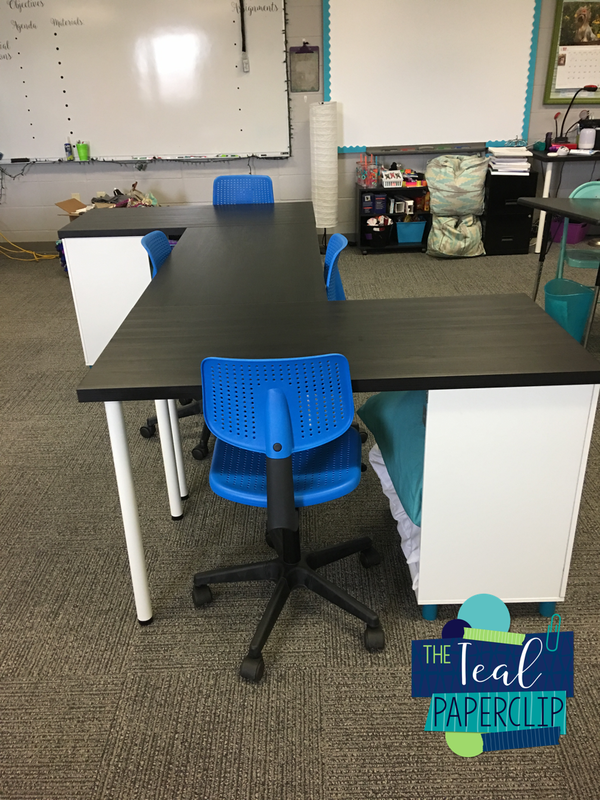 I love to see others implementing flexible seating! It's worth the investment! The whiteboard, doc cam, and smartboard are all at the "front" of the room. Although all of the seats don't necessarily face the front, there are no seats that have their back to the front either. They're usually angled or facing sideways if they aren't facing the front. This takes care of a lot of the issues that you might think would arise, as I can see everyone at all times from any point in the room. They need to be able to see the "front" of the room since I model a lot of stuff using the doc cam and smartboard. I also tell them that I reserve the right to assign seats if need be. It does take away the flexibility of it, but you have to do what you have to do. I still have enough seats that I can separate the chatters if need be. I hope this helps! So interesting! 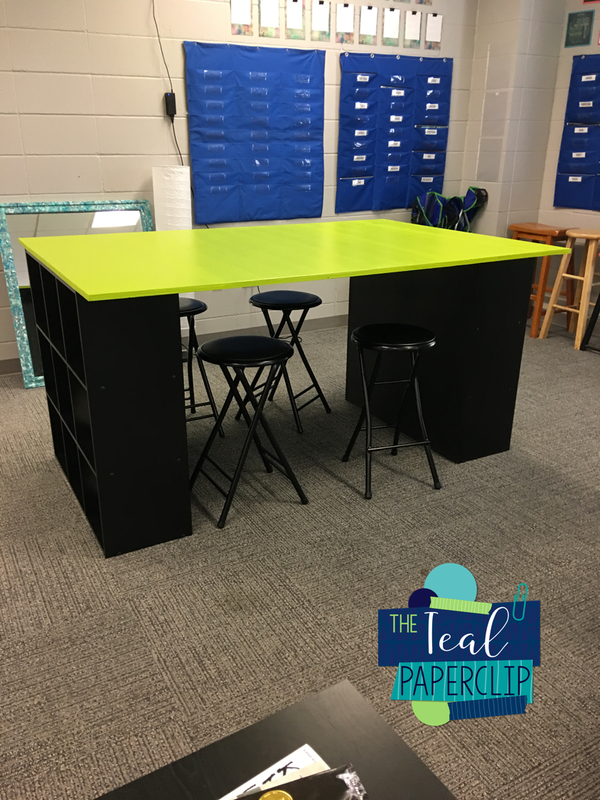 What's the square footage of your classroom? I have already raided ALL of our storage. The maintenance guys get tired of seeing me coming lol. I found those awesome trapezoid tables that raise up pretty high. I actually just finished painting them with whiteboard paint. Thanks for the suggestion though because I know that some people don't remember or know to check there! I'm redesigning my high school self-contained classroom for ED kids. 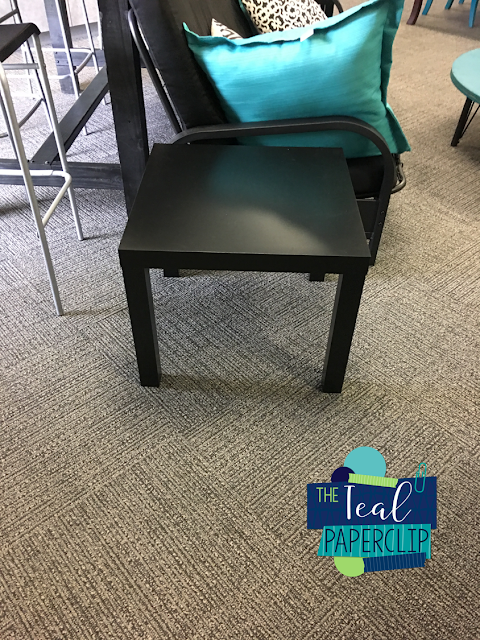 I bought 8 inch bed risers (Discount store - $8.00) and put them under a table. I bought a "grass rug" at Home Depot ($13.00) and cut it into 3rds. 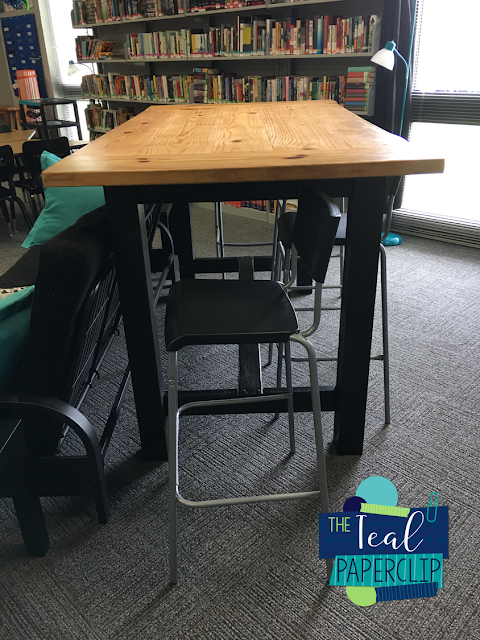 1/3 is in one corner, another third is in another corner (designated pacing area for fidgety kids) and the last third is at the table that is raised on the bed risers for kids who want to stand and work. It just creates a "space" for them to stand on at the tall table. I am excited about how it is all coming together! For bar height or standing height tables, try bed risers. They are usually pretty affordable at Wal-Mart, but I just found a set for $3 at Salvation Army. Your room is amazing! Thank you for sharing about your flexible classroom! I just started creating flexible seating in my classroom at the very end of the school year and hope to have my room look as amazing as yours. I know that it'll take time, but it is really fun. I have a few questions for you about the set up. How many seats do you have available for students compared to the number of students? What are the most popular seats? How do you handle attendance, especially when you have a sub? Do you have a picture or video that shows your entire classroom? Thanks! Thank you! I have 27+ seats. I have seats that I don't count in my seat total (like fold out camping chairs, extra stools, two teacher chairs, four short stools.) If I counted everything, I have 37 seats. I usually have about 12 kids in a class because we're on block schedule. This year, my biggest class is around 20. 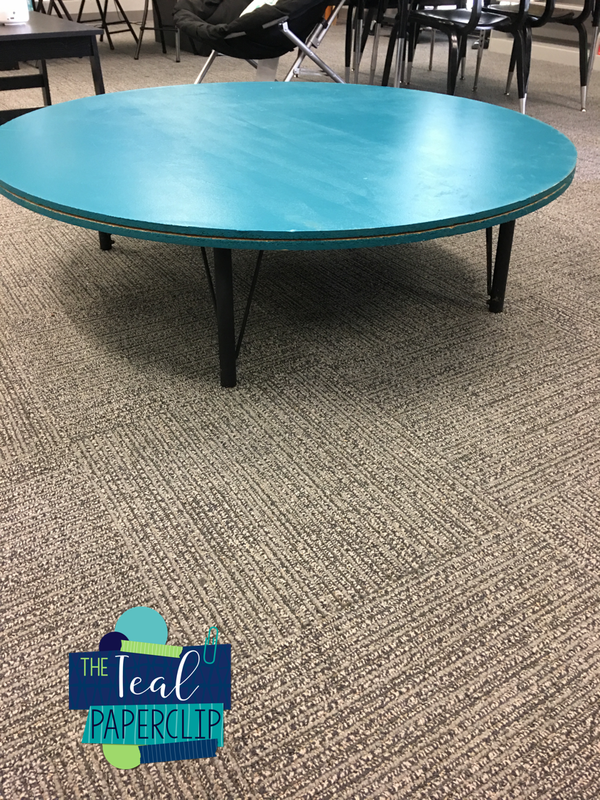 The most popular seats are the couch, papasan chairs, and tall (bar-height) tables. 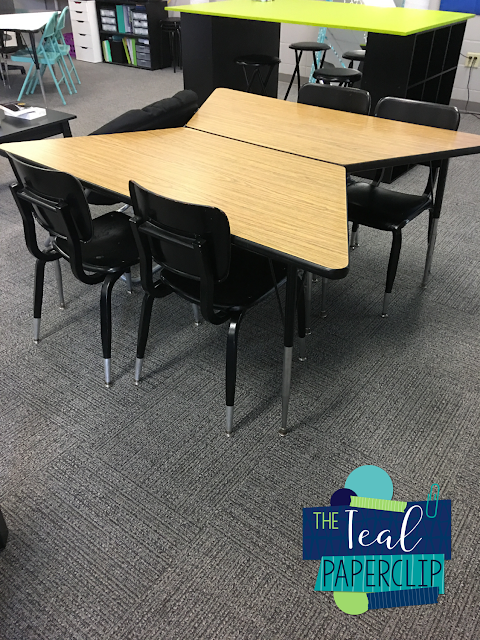 I added lots of new seating in the last month of school, so I can't say what the favorites will be with all of the new options. When it comes to seating, I don't have an assigned seating chart unless it is ABSOLUTELY necessary. Therefore, I just leave a list of my students (roster) with a note about trustworthy students that can help take attendance if there is an issue. I haven't ever had an issue with subs taking attendance. I don't have a picture or video of my entire room right now, but I will definitely be in my room before the week is out. I've been painting tables, so once I get my room back in order, I will try to get a full panoramic picture and/or a video so that you can see the layout of my room and/or the available space that I have. I hope this helps! Thank you for replying. I look forward to seeing More of your classroom! It looks awesome! I just sent you a request on Instagram to check it out. You have inspired me to get into my classroom and start designing! I have to say, I am so jealous both of the size of your classroom and the size of your classes! I teach sixth graders, so they are much smaller than high-schoolers, but my small class this year has 30 students. My largest is currently only at 34. Do you give any standardized tests? I feel like I would have to keep 20 desks shoved in a corner somewhere to use for those few weeks in the spring :( How do you deal with that, if at all? Do you have enough tables/hard work surfaces for students to use (besides couch, bean bags, etc.)? P.S. 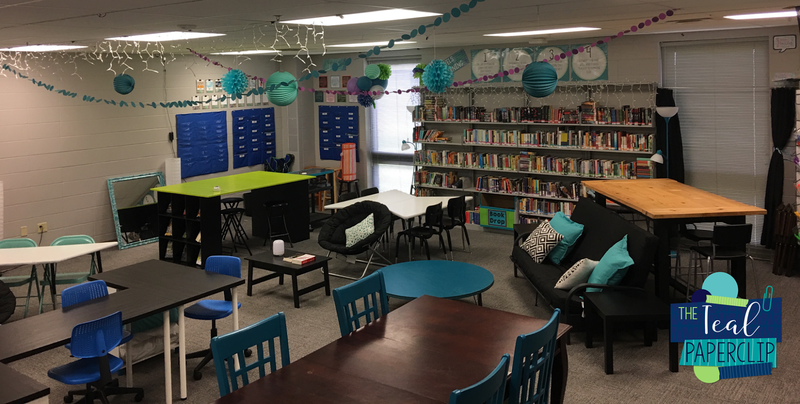 Your classroom is my dream room! I'm starting at a new school/new grade this year and want to move toward a room like this. I teach special education and usually only have small groups of 4-5 at a time so it seems very manageable! Our standardized testing is done in large groups, so we test 130+ kids all at once in the cafeteria. No worries about testing. As far as seats go, I can seat 23 at a hard surface very comfortably. I could probably seat 32 at a hard surface if we were crowded. My biggest class is 20 or so though. Usually, my classes average 12-15 students. Thank you for your kind words. It has taken a lot of hard work and stepping outside my comfort zone, but I absolutely love it and so do my students. Have you had this a while? 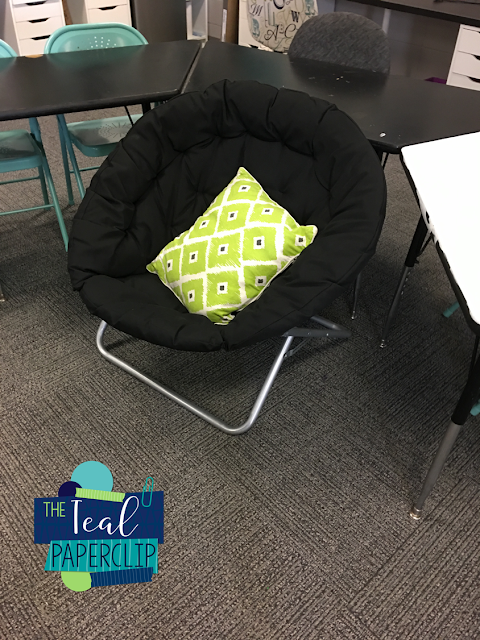 We group all of our kids 3-5th grade and when one of my 3rd graders went to the other room, he peed all over the papasan chair. It was so saturated that she had to throw it out. I am worried about this happening again. 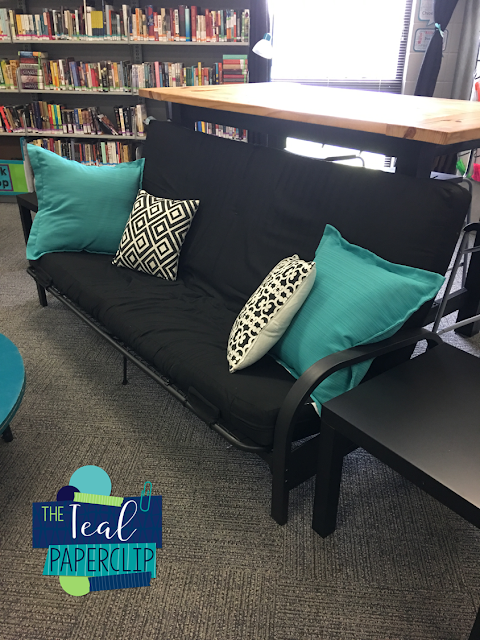 I had varieties of flexible seating for three years now. However, since I teach high school, I can't say that that situation is something I've ever had to consider. I guess the best course of action in this situation is to choose flexible seating that is easily cleaned: plastic stools, scoop rockers, plastic rolling chairs, and etc. That would allow you to still enjoy flexible seating while not having to worry about aacidents. Sorry, I used my phone to reply and caught the typos after I had already clicked publish. I LOVE your classroom!! I would like to do something similar but I teach science. I am trying to brainstorm a way I can but also still have my science tables for labs. 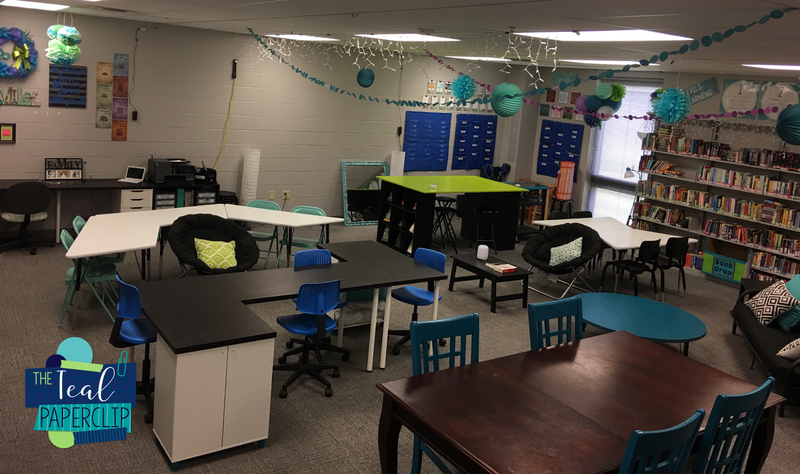 https://www.cultofpedagogy.com/funky-science-lab/ I found this high school science lab in my search for high school flex seating! I hope it helps! Thanks for sharing that link! I'm sure this will give those science teachers some great ideas about flexible seating! 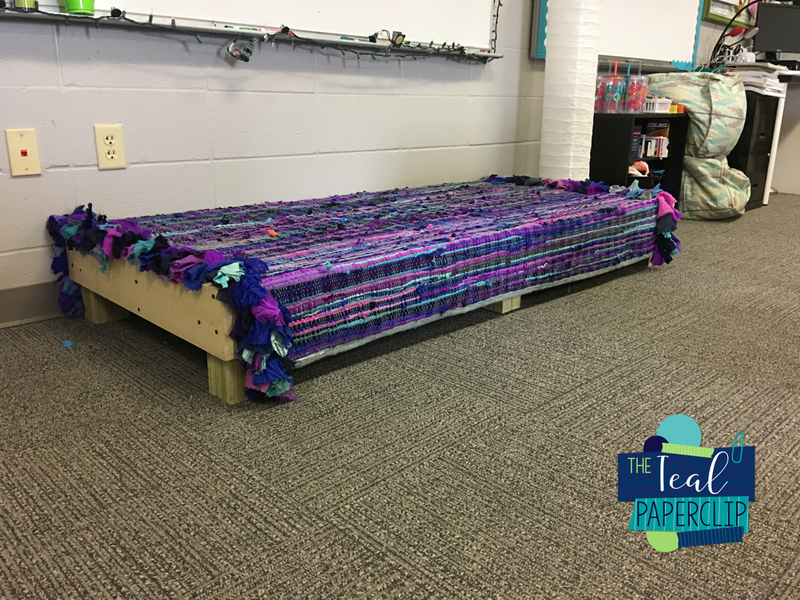 I tried flexible seating midway through the school year last year in my second grade class. So many things I like about. One of the greatest challenges though is passing out papers when students are not in the room because they don't have a desk you can leave it at. Mailboxes for end of the day stuff to go home in folders is not a problem but what about stuff they need to work on during the day? Has anyone found a solution? I can't say that I know the solution because I've never taught students that young. However, for my students, I just put all of their papers for the entire class in one spot. They pick up all of their handouts when they walk in, and then we just use them as we need them. Anything we don't use, goes into a folder at the end of class, and they just pull it out the next day. Quick question - how do you deal with students "fighting" over a favored seat? I have a couple of students who will just annoy the crud out of anyone who doesn't do what they want... and it always ends up with resentment and negativity in the room because "that student" had to have their way. Sometimes, I settle it for them. Both students chose a completely different seat for the day: no one gets the fought over seat. If one student instagates repeatedly, they lose the privilege to choose. I explain at the beginning of the year that I ALWAYS have the right to move them. I've never had anyone cause problems more than once. Awesome classroom! 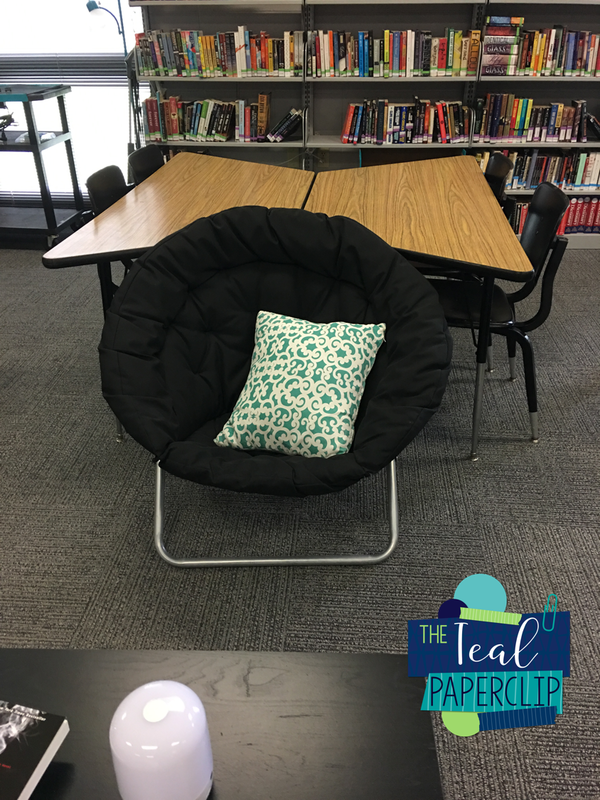 I'm implementing flexible seating for the first time this year! 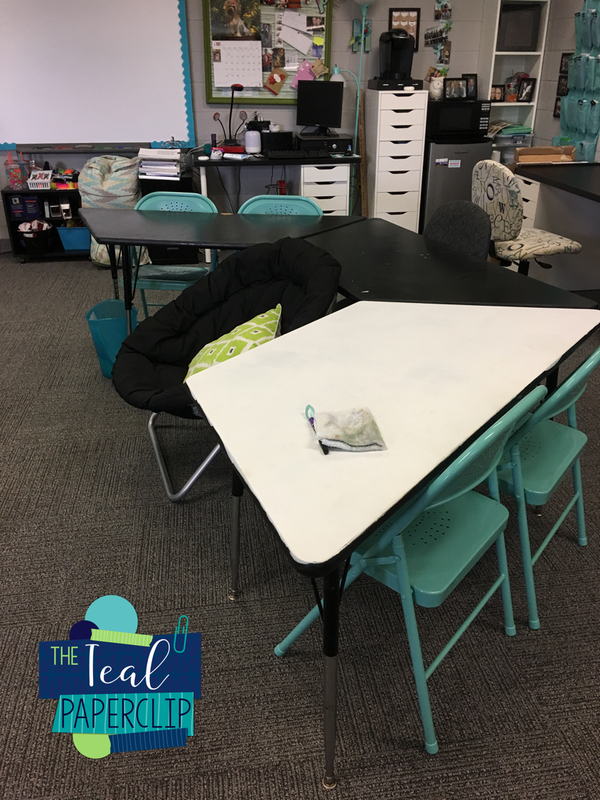 Do you have any flexible seating rules or guidelines that you post or go over with students? Would you be willing to share? Thanks in advance and keep rockin'!!!! I'd love to see tried and true procedures/rules too. I honestly don’t. I know that many people post their guidelines/rules online though. However, I haven’t had the need so far. I usually just discuss how I expect them to respect the furniture since I spend my own money on it. I tell them that they can sit where ever they’d like until it becomes an issue. I haven’t had a reason to make any hard set rules though. I’m sorry that I couldn’t be of more help.